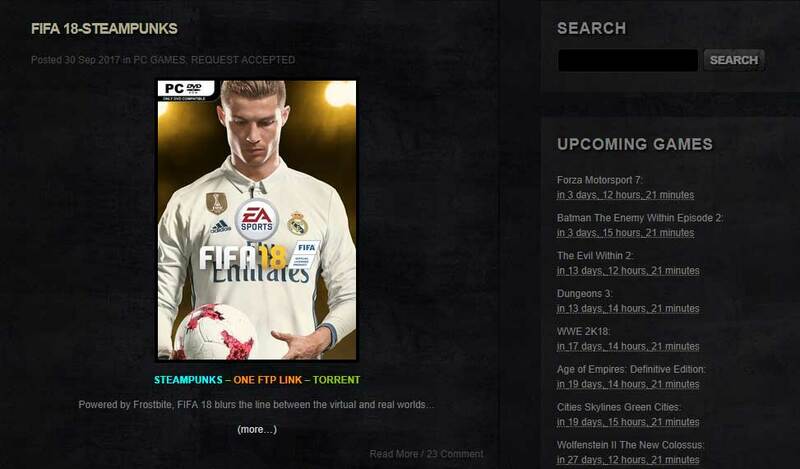 Today on Sept 30 www.skidrowreloaded.com had added post telling the world that Fifa 18 has been cracked By a hacker naming steampunks, they have provided the link to download the game. Fifa 18’s Initial release date was on 29 September 2017 and it was cracked today on Sept 30th the next day of its release. Previous Generation Fifa 15,16,17 took more than a year to crack, and the hackers tried too hard to crack the Denuvo algorithm. But now the Denuvo is in crisis because games are cracked next after they have released. Denuvo was leading in 2015 to 2016 with its unhackable coding technology, but now IT’S a MATTER of time and even hours that Denovo is getting cracked. Note – I am not a supporter of cracked games, it is my hobby to post the latest technology and gaming news and that what I am doing for the living. As always please support the game developers, Always buy original games.